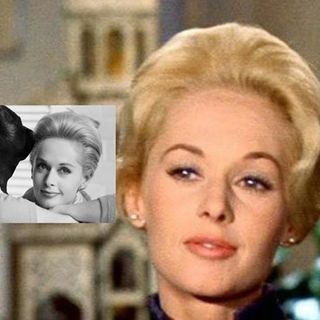 Nathalie Kay "Tippi" Hedren (born January 19, 1930) is an American actress, animal rights activist and former fashion model. A successful fashion model from her twenties, appearing on the front covers of Life and Glamour magazines among others, Hedren became an actress after she was discovered by director Alfred Hitchcock while appearing on a television commercial in 1961. She received world recognition for her work in two of his films, the suspense-thriller The Birds in 1963, for ... See More which she won a Golden Globe, and the psychological drama Marnie in 1964. Hedren has appeared in over eighty films and TV shows including Charlie Chaplin's final film, A Countess from Hong Kong (1967), the Alexander Payne political satire Citizen Ruth (1996), and the David O. Russell existential comedy I Heart Huckabees (2004), and her contributions to world cinema have been honored with the Jules Verne Award and a star on the Hollywood Walk of Fame among others. Her strong commitment to animal rescue began in 1969 while she was shooting two films in Africa and was introduced to the plight of African lions. In an attempt to raise awareness for wildlife, she spent nearly eleven years bringing Roar (1981) to the screen. She started her own non-profit organization, the Roar Foundation, in 1983 to support The Shambala Preserve, an 80-acre (32 ha) wildlife habitat which enables her to continue her work in the care and preservation of lions and tigers. Hedren has also traveled worldwide to set up relief programs following earthquakes, hurricanes, famine and war. She was instrumental in the development of Vietnamese-American nail salons in the United States.